​We are exploring electrochemistry and electrochemical engineering principles to make new materials and new structures for electronic, magnetic, energy and biomedical devices. ​Interconnect is a network of wirings in integrated circuit chips, which connects and enables the communication between transistors in an integrated circuit (IC). Copper became the material of choice for interconnects in semiconductor industry a couple of decades ago because of its superior conductivity and reliability. As the semiconductor technology rapidly evolves the future devices requires new interconnect materials to meet the device performance. In addition, other emerging devices such as quantum computers demands new materials for their unique operation requirements. Our group is exploring the electrodeposition of alternative metals and the impacts of different chemistries on the properties of metal deposits. The aim of our research in this topic is to enable the fabrication of advanced interconnects to meet the requirements of future devices. Electrodeposited circuits are critical for the cryogenic quantum devices because such circuits avoid electrical thermal effects and prevent thermal perturbation to the quantum device. Our group is investigating a new type of aqueous electrolytes, "water-in-salt", for the electrodeposition of rhenium for its superconductivity. While being aqueous, the free water molecules in such electrolytes are depleted upon the hydration of a super-high concentration of salt. 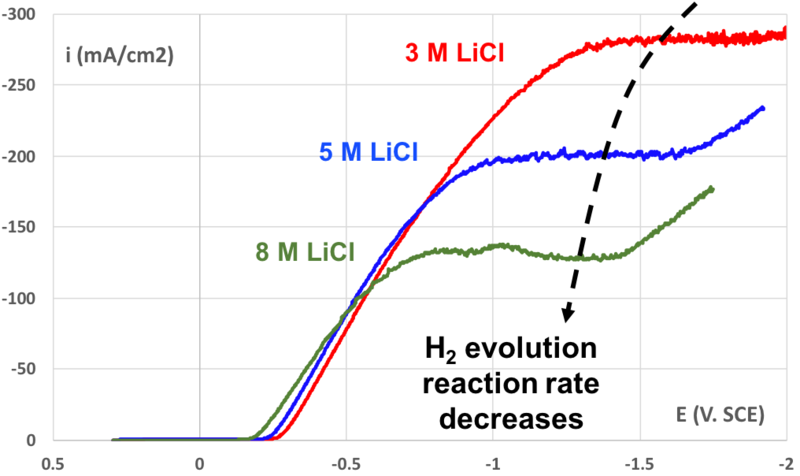 This special characteristics suppresses the electrochemical reactions of water molecule and associated species such as proton and hydroxide anions, while maintaining the advantages of an aqueous solution. Rhenium films electrodeposited from a electrolyte containing a high concentration of LiCl showed significantly mitigated film cracks and improved film roughness. 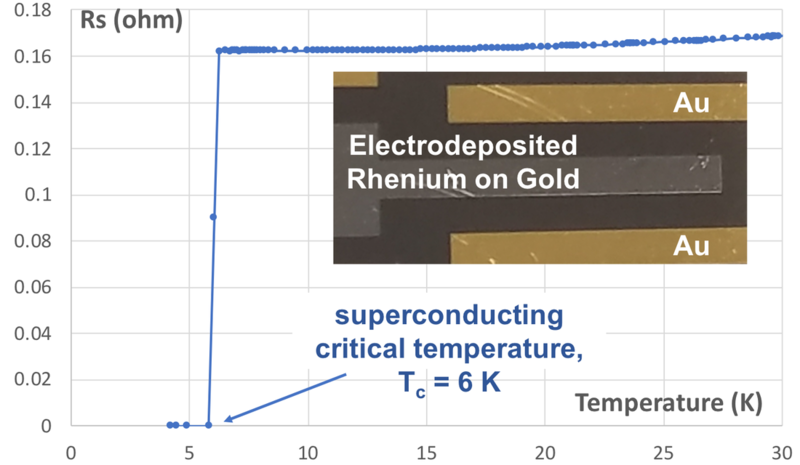 Furthermore, the superconducting critical temperature increased from the bulk value, 1.7 K, to 6 K for electrodeposited amorphous Re. We aim to understand the impacts of water-in-salt electrolytes on electrodeposition processes, and the mechanisms for their impacts on the superconductivity of deposited films. 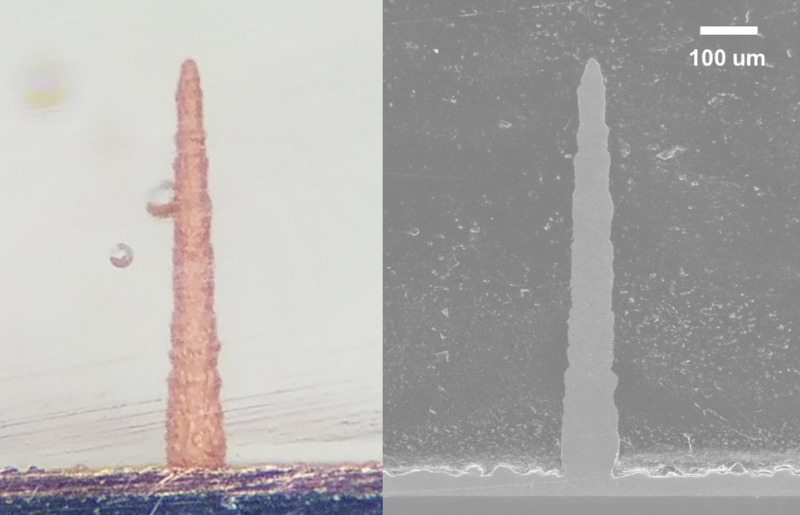 ​We are exploring metal 3D printing using local electrochemical deposition for various applications. Our research focuses on the effect of organic additives on the properties of free-standing metal structures directly printed. The purpose of study is to enable the fast, scalable and low cost manufacturing of micro-electro-mechanical system (MEMS) and nano-electro-mechanical system (NEMS). 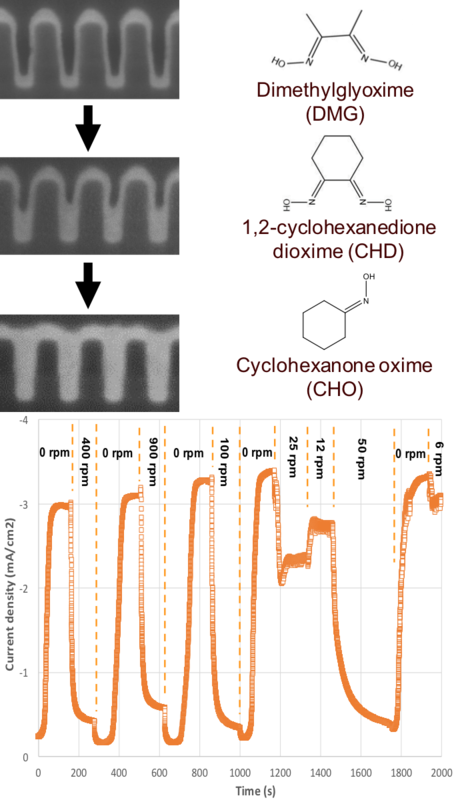 ​Apart from metals, which electrochemical processes have long demonstrated to be capable of depositing, we are exploring the electrodeposition of semiconductor materials, including chalcogenide compounds. We are interested in this type of materials for their semiconducting, magnetic, phase change and piezoelectric properties. We are also interested in combining this type of exploration with the 3D deposition processes we are developing to enable fabrication of devices. ... to be updated soon.